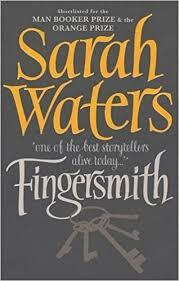 Fingersmith is the third slice of engrossing lesbian Victoriana from Sarah Waters. Although lighter and more melodramatic in tone than its predecessor Affinity, this hypnotic suspense novel is awash with all manner of gloomy Dickensian leitmotifs: pickpockets; orphans; grim prisons; lunatic asylums; “laughing villains” and, of course, “stolen fortunes and girls made out to be mad”. Oliver Twist (which is mentioned on the opening page), The Woman in White and The Prince and the Pauper all exert an influence on it but none overawe. Like Peter Ackroyd, Waters has an uncanny gift for inventive reconstruction. Divided into three parts, the tale is narrated by two orphaned girls whose lives are inextricably linked. It begins in a grimy thieves kitchen in Borough, South London with 17-year-old orphan Susan Trinder. She has been raised by Mrs Sucksby, a cockney Ma Baker, in a household of fingersmiths (pickpockets), coiners and burglars. One evening Richard “Gentleman” Rivers, a handsome confidence man, arrives. He has an elaborate scheme to defraud Maud Lilly, a wealthy heiress. If Sue will help him she’ll get a share of the “shine”. Duly installed in the Lillys’ country house as Maud’s maid, Sue finds that her mistress is virtually a prisoner. Maud’s eccentric Uncle Christopher, an obsessive collector of erotica (loosely modelled on Henry Spenser Ashbee) controls every aspect of her life. Slowly a curious intimacy develops between the two girls and as Gentleman’s plans take shape, Sue begins to have doubts. The scheme is finally hatched but as Maud commences her narrative it suddenly becomes more than a tad difficult to tell quite who has double-crossed who. Waters’ penchant for Byzantine plotting can get a bit exhausting but even at its densest moments–and remember this is smoggy London circa 1862–it remains mesmerising. A damning critique of Victorian moral and sexual hypocrisy, a gripping melodrama and a love story to boot, this book ingeniously reworks some truly classic themes.–Travis Elborough –This text refers to the Hardcover edition. Copyright 2018 Sally O-J.com - All rights reserved.